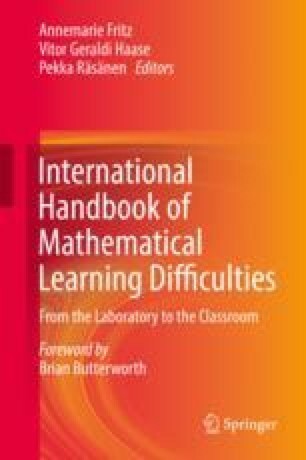 This chapter provides an overview of the current findings about (the obstacles in) primary school children’s strategy use in the domain of multi-digit arithmetic. This involves addition, subtraction, multiplication, and division tasks in which at least one of the operands contains two or more digits. For both the additive and multiplicative domains, we provide a comprehensive framework for the classification of strategies, with two dimensions: (1) the operation that underlies the solution process and (2) the way the numbers are dealt with in computing the outcome (manipulating whole numbers or single digits). Empirical findings of children’s strategy use in the additive and multiplicative domain show that children use a variety of number-based strategies efficiently and adaptively before the introduction of the digit-based algorithms. The introduction of the digit-based algorithms seems a critical instructional event: children show a large tendency to use the digit-based algorithms once they are instructed, and they do so rather efficiently. The major obstacles children encounter in developing, selecting, or executing these strategies are their conceptual understanding, procedural fluency, and adaptive/flexible strategy selection.